The thrill of discovering new places, time spent sans the grind of everyday routines, games and fun - family vacations are made of these! If you are traveling with kids, consider all inclusive family vacation packages as they might take the stress out of planning a family holiday. With a little bit of planning, family fun vacations can be enjoyable and affordable. Check out how you can go about arranging a family reunion vacation. Each member of the family may have their own ideas for a vacation. Bring out those ideas and collectively decide on a common interest that will make every member happy. After choosing the right location carry all the essentials required for holidaying in a specific place. Road maps, travel brochures, information downloaded from the Internet etc. will be of great help while traveling to a place for the first time. When you are traveling with children ensure that you carry enough food that they like as the destination you are traveling to might not have them. Understand that vacations are for relaxing. So don't plan a hectic schedule that will leave you drained after the vacation. Decide your budget and plan all the vacation activities within that budget. This will help you relax both before, during and after the vacation. Make your family fun vacations flexible. Make allowances for tired kids and resultant tantrums. Try to maintain some routine for little kids as they might miss the comforts of home schedule. Imagine a family vacation where you can leave back your wallet at home and just get on with enjoying vacation destination. This is what exactly an all inclusive family vacation has to offer. Get hold of a trip organizer who can give you the hassle free all inclusive family vacation. Ensure all the meals are covered for all days of your stay at the vacation spot. All beverages including both alcoholic and non-alcoholic have to be covered in the package. Any kind of paid leisure pursuit and entertainment has to be covered in the package. 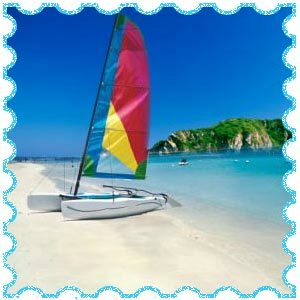 All types of travel, from airport transfer to local travel must form part of the all inclusive family vacation package. Any tip to be paid should also be mentioned and collected along with the package cost. Typically all inclusive family vacations make for ease of planning a vacation. These resort packages include entertainment and activities for all members of the family. Children's clubs and baby sitting services can keep little kids amused so that you get some time to yourself. There are families who love outdoor camping and campfire fun. For such people an impromptu vacation can mean putting up a tent and lighting a campfire. Setting up a barbecue and collectively cooking can make for happy memories of time spent together. Great way to get everybody to do their part of work and yet have fun. Pack up all the camping equipment and gear in your booty and set off, pitch your camp and light the camp fire. Set up your barbecue, cook for yourselves, play your music by the camp fire play games under the moonlight. If the mysterious mountains beckon you, head up for a family vacation. 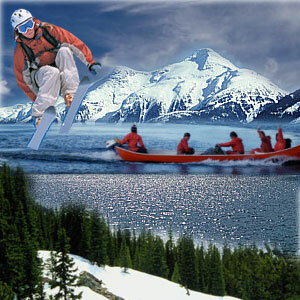 You can try trekking or skiing, if the weather and conditions permit. Family vacations in the mountains can also mean long walks and time spent together in a cozy inn or lodge. Driving through countryside is a good idea for a family vacation. A night stay in the highway motel or staying back in the small hotels in the countryside can be equally fun too. Families with children would love to go out to theme parks, museums and educational trips. Disneyland, other theme parks and museums will be a great break and learning experience for children. 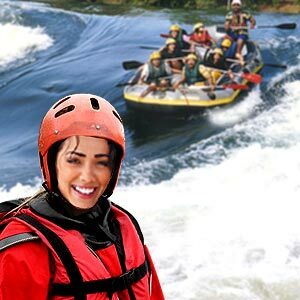 Adventure holidays can be great fun for the entire family. Try getting adventurous and if kids are in your company then it will make a great adventurous vacation. Take them to animated caves, haunted houses, hayrides and places that would make their hair stand straight and chill their nerves. Water parks, mazes, roller coaster rides etc, all this could turn out to be fun for the entire family. Beaches are high on the list of most family fun vacations. Probably it's the sense of space with the oceanfront and vast expanse of sand and the fun you can have. From building sand castles to beach volleyball, beach vacations are enjoyable. Going out scuba diving, being a part of a sea camp, arranging for some fun filled activities by the beach can be a great idea. Making sand sculptures, going out treasure hunting, sailing to an island, visiting the reefs, rafting, kayaking, and lots more would add to the pleasure while on beach vacation. Keep in mind the age group the vacationers belong to and choose activities that are safe. Hectic and monotonous lifestyles coupled with distances make it nearly impossible for members of a larger family to meet often and interact with each other. Organizing a family reunion vacation is a great way to together. A lot of planning, coordination and communication go into a family reunion vacation. When to set off: With more people and schedules to take into account, planning the right time for a family reunion vacation is not so easy. Start checking with your family members on their availability several months in advance from the scheduled vacation departure date. Plan, tell them how you intend to go about and ask them for their ideas and affirmation on availability for the planned date. Interact with the members of family, take everybody's ideas and suggestions, choose on the right tour operator who offers the best package and the right place to visit that will suit all age groups in your family. Coordinate: Pick amongst the family those who will interact with tour operators and make all necessary arrangements. The coordinators must research and plan all aspects of the family reunion vacation including collections and handling the finances. The coordinators are vital to making the family vacation a success. Take into account the needs of the elderly members of the family as well as the little ones. It is essential that the coordinators keep all members informed of plans, lodging options and estimated expenses. Destination: Choose the right place; ask for suggestions and names of holiday destinations that your family members would like to visit. Make a list of the places suggested and start working out on which will be the best place and take everybody's approval before your decide on the place. Of course keep the budget in mind, choose the place that is the best suited for the estimated budget. Few might enjoy beaches, while few others would love to trek, take all the ides and choose what suits everyone the best.